Can’t we all just get a bong? And can’t we all just get along? Well, maybe if we all got a bong, we could all get along. And that is the mission of Bong. James Bong. To make sure that everyone gets a bong. And that everyone gets along. We all know that the world governments seem to have the hardest time just getting along. So what if they all just got a bong? What would happen? 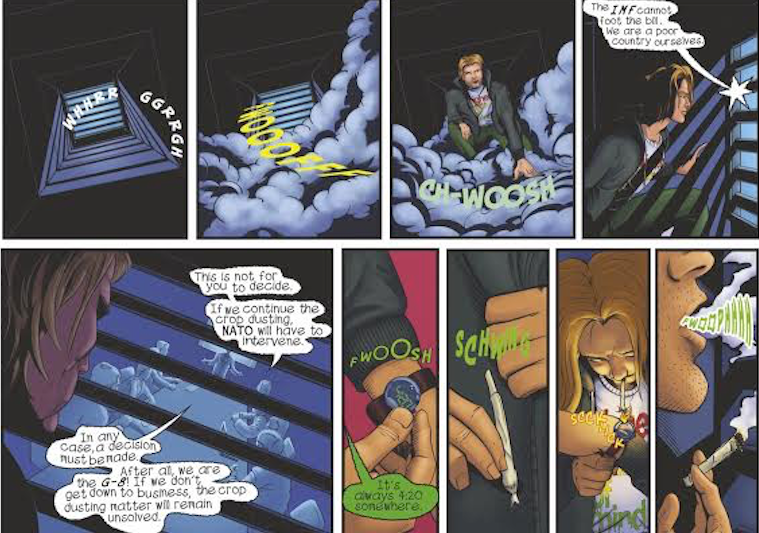 In this latest installment of the cannabis crusaders comic adventures, James rolls through some sticky spots to find out. Agents of J.O.I.N.T. 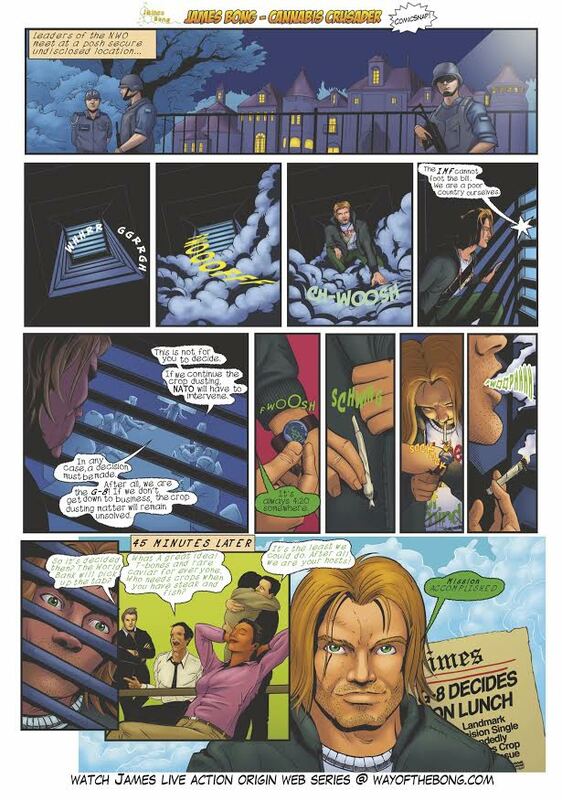 are sworn to believe that the world’s problems can be solved with cannabis. It’s a solution we can all share and pass along through the generations, and hopefully, one day, something that we can all agree upon. I mean, it’s okay to disagree a little. Some people like to smoke it, some people like to eat it. There’s room for everybody. Because either way, you will probably get the munchies. As usual, James Bong is brought to you by a consortium of the world’s most talented artists, delivered with a creativity the worlds governments would do well to apply to their activities and governance. But the message is clear and translates across any and all boundaries. Whether it’s a joint, a blunt, a bowl, or a bong, whether it’s indica or sativa, indoor or outdoor, the important thing is that we share. Because sharing is caring. And caring is the first step to getting along. And it all begins with a bong. James Bong. Visit our shop and get the best deals on 4/20 items! This entry was posted in Featured, Stoner Blog. Bookmark the permalink.